The Stage III program is open to anyone who wants to be involved in helping and hiking in Victoria’s mountains. There are no prerequisites. Everyone is welcome to join one of our trips to enjoy and give back to the high country, learn new skills and meet like minded people. Join an upcoming trip or attend an event. Check the calendar for projects that are happening soon. Medical forms and permission forms (if you are under 18) are available for download. What sort of projects do you do? We run a diverse range of projects at Wollangarra, in the mountains and at home in our local communities, as well as fundraising events in Melbourne. 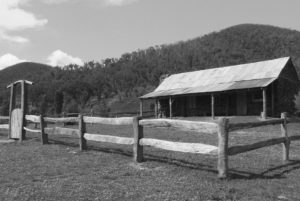 Current projects and trips include hikes in the high country, hut restoration and maintenance, walking track construction and maintenance and revegetation. There are day and night events, as well as weekend work parties and week long programs. Your own camping/hiking gear. Wollangarra can usually provide anything you don’t have, such as boots, packs and raincoats. Depending on the trip you may need to contribute some food and fuel money. The trip leader will advise you of specific details. Do you need any previous experience? Not at all. The work we do is easily learnt on the job and the walks are usually not too difficult. A positive attitude and a moderate degree of physical fitness will help. You will be living simply, sleeping in tents and often cooking on campfires or portable stoves. There will always be a staff member with Wilderness First Aid qualifications and outdoor experience on trips to support the group and manage any safety issues. The group will carry an extensive first aid kit and have the means to communicate with emergency services should the need arise. Download the Stage III Newsletter here. Subscribe to our e-news by contacting Amy. The Committee play an essential role in the governance and organisation of Stage III. Committee members meet regularly and hold different roles and areas of responsibility. The Committee is open to any Stage III young person and offers numerous training opportunities. Please ID your payment with your name and the purpose of the donation.